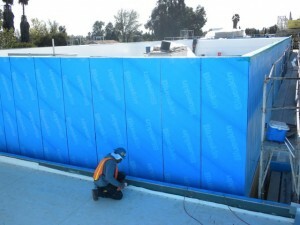 We offer a wide range Air Barrier Systems. These are engineered on a job-to-job basis as needed. For a quote or more information, please Contact Us. Typical uses: These membranes are installed on the exterior of a building before installing the stucco, siding, etc.